What is antimicrobial (antibiotic) resistance? An antimicrobial is a health product that kills microorganisms or stops their growth. Antibiotics, antifungals, biostatics, antiseptics and disinfectants are all subtypes of antimicrobials. Antimicrobial resistance is when one of these types of agents, usually a human or veterinary drug, stops working because the microorganism it is supposed to kill has developed the ability to continue to survive and replicate. Antimicrobial resistance is a global One Health issue, particularly with respect to antibiotics. When these bacteria survive and continue to replicate and the infection does not go away, antimicrobial resistance can be a cause. Treatment of disease may require the use of a different, more powerful antimicrobial to target these resistant bacteria. The problem is there are only a limited number of antimicrobials. CAHI and its members have supported antimicrobial stewardship for a long time, particularly for the responsible use of medically important antimicrobials. 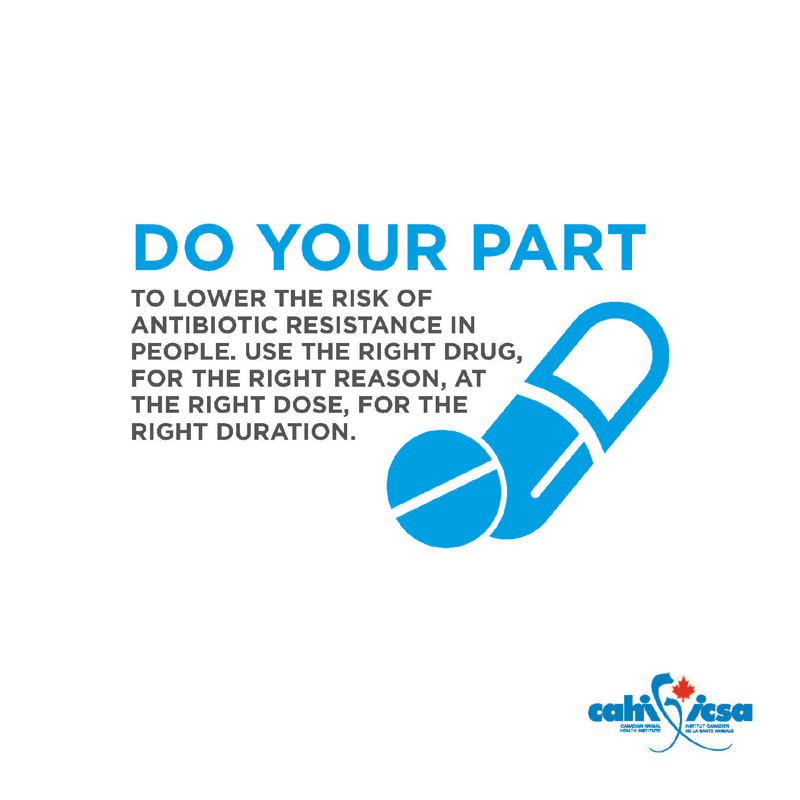 CAHI fully supports recent and upcoming changes made by Health Canada to how antimicrobials can be used to support animal health. How does antimicrobial resistance occur? In any group of bacteria, there are some individual bacteria that are naturally stronger than others, meaning these stronger bacteria can survive an antimicrobial treatment and reproduce more of their kind, which in turn causes more resistance. Antimicrobial resistance can be transferred from one type of bacteria to another through genetic material, meaning more bacteria are able to survive a treatment, which in turn causes more resistance. A small percentage of bacteria may simply be naturally resistant to certain antimicrobials because the way they work is incompatible with the target bacteria. These bacteria are, and always have been, resistant to this type of antibiotic. This sort of resistance does not lead to more antimicrobial resistance. A main reason to use antimicrobials in food animal production is to help manage disease. By having healthy animals, we have a healthy food supply, which in turn leads to healthy people. Access to health management tools such as antimicrobials is important to veterinarians, farmers and pet owners to keep the animals in their care healthy and to promote good animal welfare. Understanding the importance of a One Health approach around antimicrobial use and the need to use these products responsibly, CAHI’s members voluntarily agreed to remove all growth promotion claims from antimicrobials that are important to human medicine by December 2018. 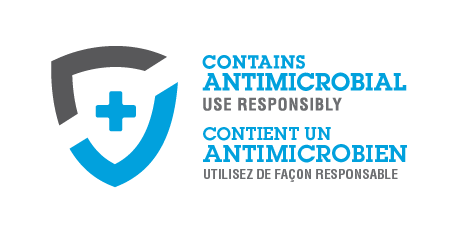 We have also created a new logo for animal antimicrobial product labels promoting responsible use. Check out this short video by AnimalhealthEurope to learn more. There are some natural animal health products available that do show some antimicrobial properties but their effectiveness or ease of use can be lower. There are also other animal health products (natural or conventional) that promote good animal health and help to avoid an infection, resulting in a reduced need to use antimicrobials. Farmers are also continuously adopting best management practices like biosecurity which helps to keep harmful germs out of barns and herds or flocks. Researchers and animal health companies are continuously seeking alternatives to antimicrobials, and are having some luck with new technologies.